On September, 1066, Earl Tostig Godwinsson and King Harold Hardradi of Norway were defeated and killed at Stamford Bridge, Yorkshire, by Tostig's brother, King Harold of England. But the alliance that ended in the spilt blood of Tosti and Hardradi led also to the sharing of blood between their descendants. 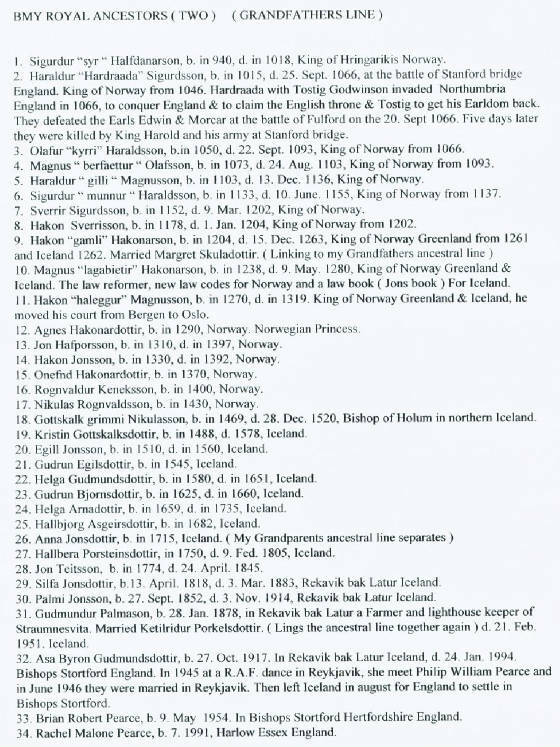 In the 13th Century, the bloodlines converged within Hakon "Longlegs" Hakonarson (King of Norway). When my grandfather, Gudmundur Palmason, married Ketilridur Porkilsdottir, the bloodlines of Tostig and Hardradi once more affirmed their alliance. 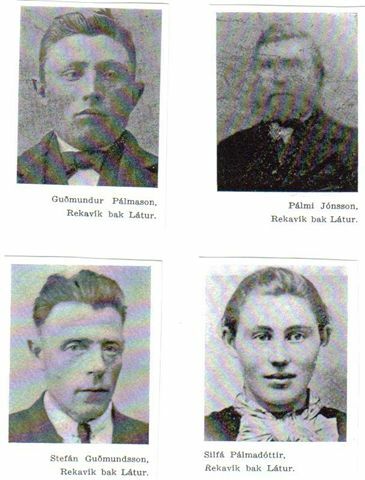 For further Genealogy details of Gudmundur Palmason, take a visit to Sigurveig's excellent site. 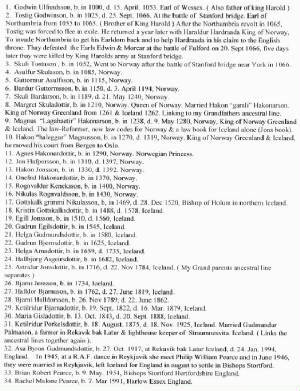 These Genealogies were compiled by my brother, Mike.. who has only just got himself a computer. He may have made the odd mistype, but I think he deserves credit for a tidy presentation from his first endeavour with a keyboard.